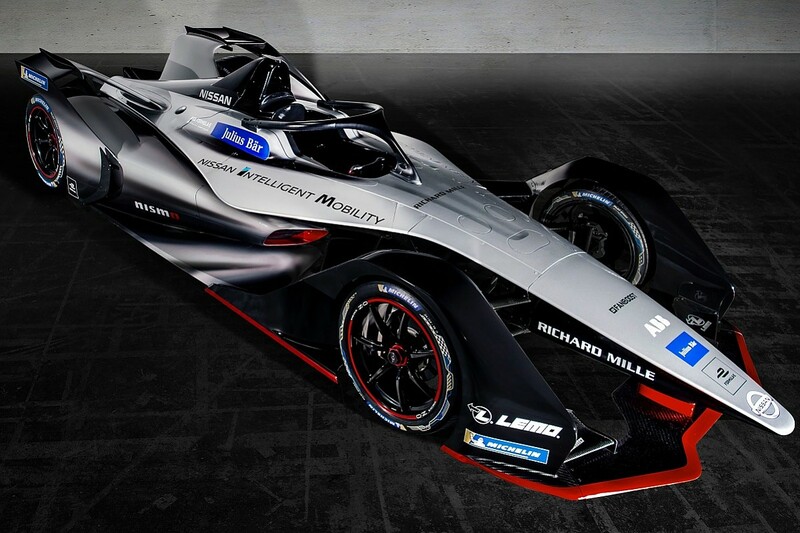 What's gone wrong at Formula E's best team? 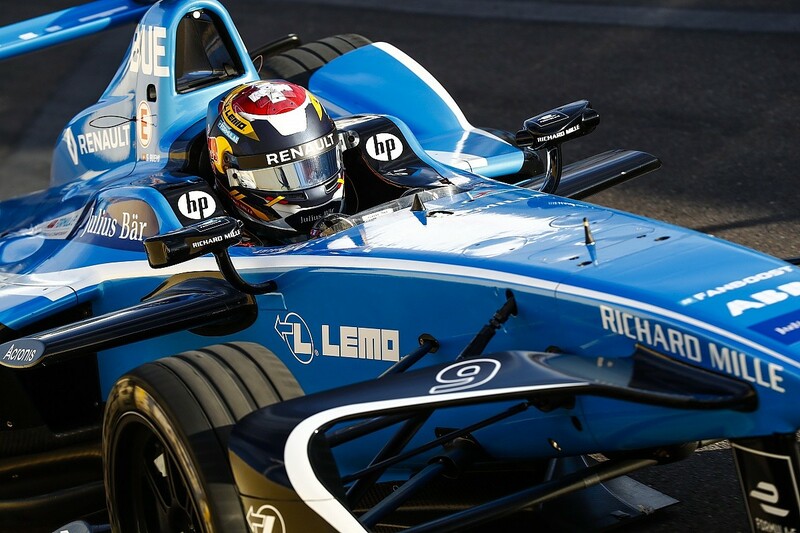 Renault e.dams has won all three of Formula E's previous teams' titles, yet stands on the brink of notching up an unwanted milestone. How has it fallen from pacesetter to the mid-pack in the space of 12 months? If Sebastien Buemi fails to win this month's Berlin E-Prix, he will have gone an entire calendar year without a Formula E victory. The following round in Zurich would offer him the chance to mark his home event by ending his current slump on the anniversary of his last triumph. 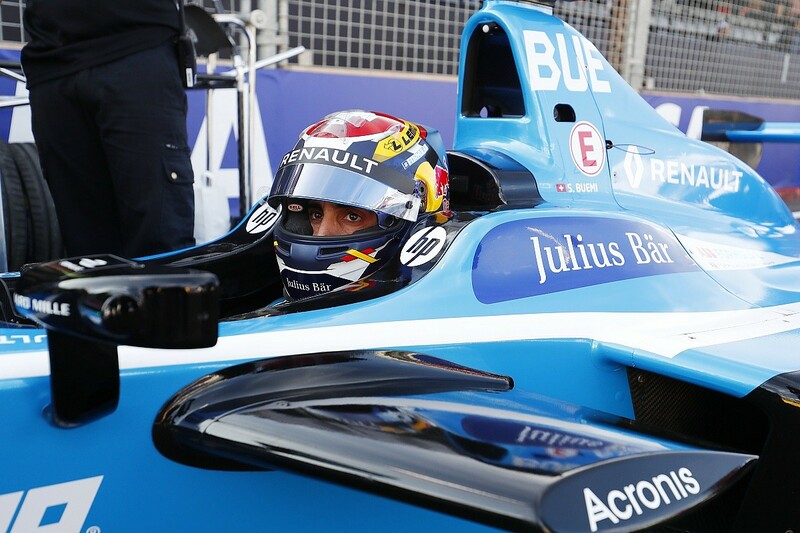 Buemi has 12 FE wins, nine poles and 20 podiums. That Sebastien Buemi. Remarkably, his long-time adversary Lucas di Grassi also heads to Berlin in search of his first victory of the season, but the reigning champion can at least count on having arguably the quickest car on the grid at his disposal. The same cannot be said for Buemi. This time 12 months ago, the 2015/16 champion and his Renault e.dams squad had taken five wins from the first six races. At that season's Berlin round, Buemi was outshone by Mahindra Racing's Felix Rosenqvist - only taking the second win in Germany due to a time penalty for the Swede - but he still held a 32-point standings lead over di Grassi. Then came New York and Montreal. With Buemi on Toyota World Endurance Championship duty at the Nurburgring, di Grassi clawed back 22 points in their title fight on FE's first visit to New York. Two weeks later, a practice crash, an underweight car, pitlane arguments and a low key final drive cost Buemi dearly as he surrendered his title to his rival in dramatic circumstances. Moving on to the 2017/18 season and things started poorly for Buemi and Renault. 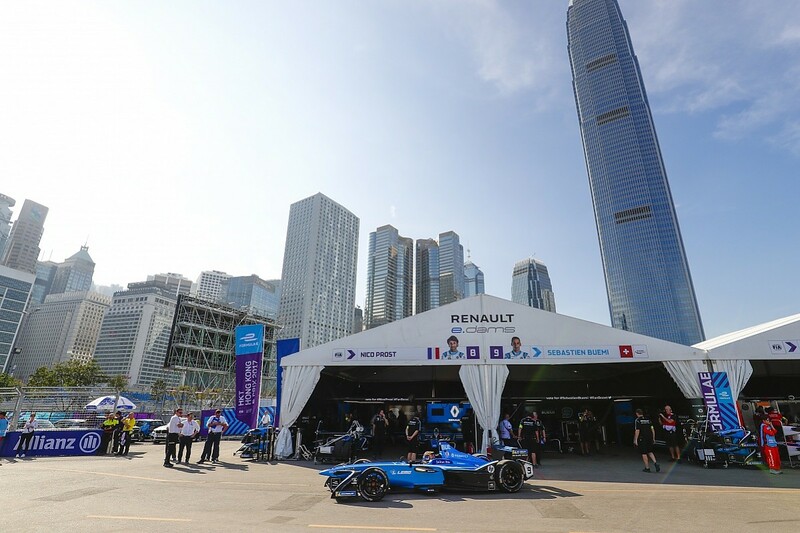 In Hong Kong, he suffered a battery-management-system error in race one and then hit the wall in qualifying for race two, while Rosenqvist beat him at his own game for the win in Marrakech - where Buemi did at least take pole. Third places followed in Santiago and Mexico City, but Renault wasn't really in the fight for the wins in those cities. A superpole mistake and a regen problem thwarted Buemi in Rome, and last time out in Paris he was unable to make a second-half energy advantage count and remained trapped in the pack behind the podium contenders. "A bit disappointing," says Buemi, when asked to assess his season so far. "I can't hide that because I've been fighting for the championship, or wins in every single race I've entered, more or less, and now it's become a bit more difficult. "I wouldn't say that I'm completely out because I've had a pole position and three podiums - some people would have been more than happy to have those kind of results. But being used to what we had, it has felt a bit disappointing." After claiming a third consecutive teams' title last season, Renault opted not to develop its powertrain heading into the current campaign as most other teams chose to, and instead directed resources towards the new Gen2 machinery coming for season five. But Buemi says this is "no excuse" for Renault's results, given that the Techeetah customer Renault squad is leading both the drivers' standings - with another ex-Toro Rosso Formula 1 driver, Jean-Eric Vergne - and the teams' championship. It has also scored three wins to Renault's zero. If anything, the works Renault team has gone backwards compared to the all-conquering form it displayed the first three FE seasons - especially since powertrain development was opened up for the second campaign in 2015/16. "Sometimes you try and improve things and on paper it looks better and in reality it ends up not being so good because different things that you try maybe get out of control," Buemi says of the current powertrain puzzle. "We tried to improve things, and we basically introduced all the problems, and at the end it ended up being worse than if we would have done nothing. This, you don't know in advance - you always try to do better - but it becomes difficult to bring big steps. "It becomes difficult to improve just because we're at the end of the [first generation] car and you're fighting on small details. Sometimes you try to go on one road to try to improve and find 'OK this is maybe a bit better but we made this worse'. "It's difficult to explain without details but sometime we lost our way a bit, we lost ourselves in some of the updates we were aiming to bring." Buemi's best finish of the two races in Hong Kong was 10th after his battery problems, but he counters any suggestion that there was a hangover from losing the 2016/17 title in the way he did: "I've learned the hard way. But we were starting a new season and what happens in the past remains there - we try to learn from that but I didn't take anything with me into season four." But Renault team boss Jean-Paul Driot believes Buemi's problems at the season opener did stem, at least in part, to missing out on a second consecutive FE title. "We started [2017/18] in a difficult way in Hong Kong," says Driot. "I think it started even before Hong Kong because Buemi went to Montreal very upset by the fact that he couldn't go to New York and really wanted to score points like mad in Montreal in order to take some points [back] - and you saw what happened. "Overdriving - he went into the wall and he crashed badly. We repaired the car very quickly - my mechanics worked perfectly well - but it was a very short period of time [and the car was underweight]. "Since then it was always in his mind and starting in Hong Kong, he wanted to show again that he was going to be there [at the front]. But he did a little bit like he did the first year and the first race in Beijing [in 2014] - a lot of problems as it was not going the way we wanted." Driot missed the first five rounds of the season through illness - he only returned to the paddock in Rome - and now views his role as having to reset his team's mindset. Should he do so, he hopes the team will recapture the form that has taken it to 15 FE wins, the most of any one team by a margin of eight. "[We have] to start, not from scratch, but at least to calm everybody down and to reset with no pressure, have an open mind and know that we know how to do it - and then doing it," he explains. "Easy as that. But the mental [side] of human beings is very complicated. "Everything is a question of giving the right mental impulse. My role - because they know me, and they respect me for many years - is to put them back into a normal way of thinking and acting." Buemi naturally echoes his boss's call to respond to the situation and try to get back to winning ways. But the impact of Renault's and his own loss of form is clearly having a profound effect on the Swiss driver, the evidence of which is obvious from the frankness of his answers. "I feel responsible," he says. "I feel like I'm part of the team [as if] it's my family and if I do bad I'm not going to blame it on the team. It's 'us' - 'we' didn't do a good enough job so far this season, and there is nowhere to hide and there is no excuse to find. This is the reality - so now, like we always did at e.dams, we stick together and we come back." The Techeetah comparisons are interesting given the differences in the make up of the two squads. One has the might of a factory behind it, while the other is a much smaller operation that has proved the worth of FE's formula for competitive racing by taking an off-the-shelf Renault power unit and running it to the top of the standings. But Buemi reckons the customer team's success is not purely down to leaving the technology as it was, while his squad made unsuccessful revisions. "I wouldn't say that," he says. "They invested a lot in simulation - they were far ahead of us in simulator, simulation tools - many things that they had. We tried to catch [up], we tried to improve. And sometimes because of this, maybe the accuracy of our systems not being good enough, we basically introduced some other problems." It has officially been known since last October that Renault will pull the plug on its FE programme at the end of the current season, and that its alliance partner Nissan will take its place in the e.dams entry. Renault is investing heavily in its reborn F1 squad - including rebuilding parts of its Enstone base - and the two companies are part of the same motorsport group, with discussions on how best to operate their programmes taking place long before decision to make the FE switch was made. Although Renault's exit has been hanging over the team for the entire campaign, by far its least successful in FE, Driot rejects any suggestion that there is a link between this and his squad's recent lack of results. "I don't agree," he says. "Nothing has changed with Renault - we have always worked the same way and, frankly, there is no change at all. It's exactly like it was before like last year in the first six races when Buemi was winning all the races. So, no, I don't think so. "There might be changes next year in the approach, because Nissan is a [different] company in terms of culture and approach for motorsport. We'll have much more marketing with Nissan because they will activate a lot more. But we will work with them the way we have worked with Renault - our aim is to set-up the cars, to maintain the cars, to race the cars and to try and win races." Mirroring the spectre of Renault's exit is Nissan's arrival and, while Driot maintains e.dams will keep exactly the same approach, there could well be changes coming ahead of the 2018/19 season. 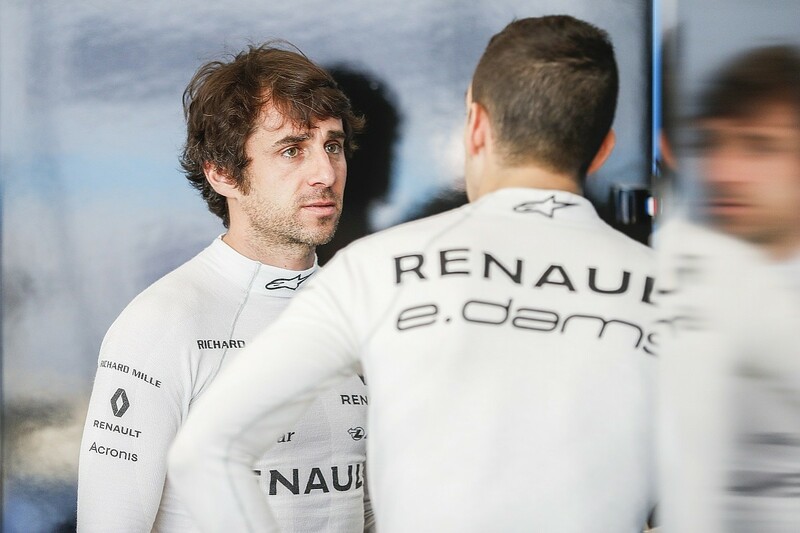 Both Buemi and team-mate Nico Prost have contracts for next season, but it is understood that these might not be totally nailed on. Prost - with a best finish of eighth this season and on a 20-race podium drought (he has not won since scoring a double in London in the 2015/16 finale) - looks the most precarious, especially given Buemi's position as one of FE's leading drivers. Plus, the recent reshuffle meant that Driot bought back his father Alain Prost's stake in the team. In Paris, Prost acknowledged that he would have to discuss his future with the team if results don't pick up. "We are discussing for the time being what will happen for season five, because everything can change," Driot says of the squad's prospective driver line-up. 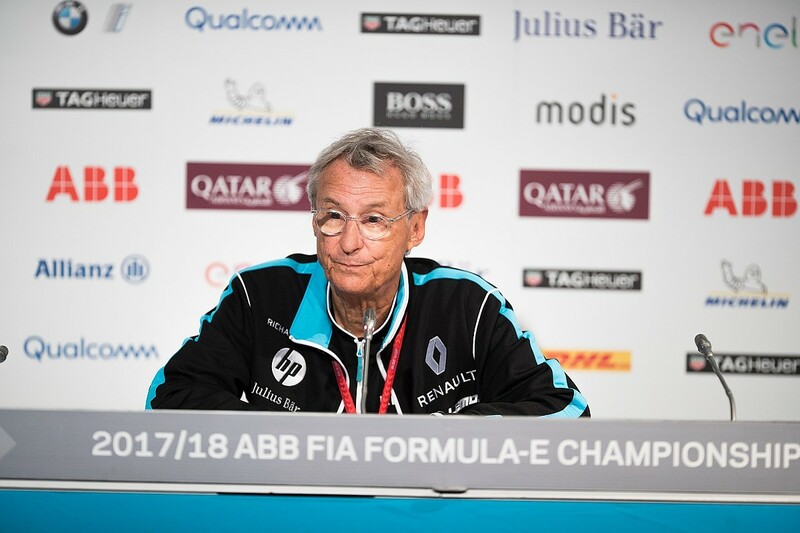 "So we need to discuss together with Mike [Carcamo, Nissan's global motorsport boss] to decide what they want, what I want, and so to try [to find] a compromise in between us." Buemi is keen to give Renault a successful send off from FE - although there was no home-race prize to take away from Paris last time out - and Driot is confident that the team has what it takes to turn things around. It has been close on occasions, particularly in Marrakech and Punta del Este where Buemi felt he was finally on the ultimate pace before a crash cost him the race. The clock is ticking closer to the first anniversary of its most recent triumph - and it would have to nail a perfect race meeting to best Techeetah, Audi and Virgin Racing based on recent form - but given its FE history and the determination of Driot, it would be unwise to bet on Renault seeing out the campaign without at least one final FE victory.